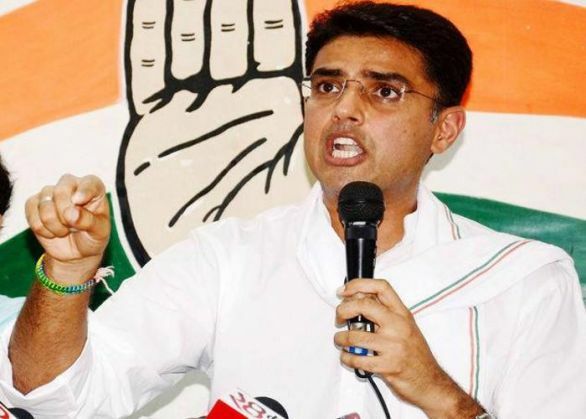 Dubbing the CBI's action in the ambulance scam as 'vendetta driven malicious prosecution', Congress leader Sachin Pilot on 29 August said that it was aimed at diverting the attention of the people from the Lalit Modi issue. "Action by CBI (in ambulance scam) is on prodding of Raje Government. It is nothing but a meek, vendetta driven malicious prosecution... We wanted a CBI probe into Lalit Modi issue and Rajasthan Chief Minister is trying to divert people's attention by levelling such false charges," Pilot told ANI. Pilot further said that attempt to embroil him in the ambulance case is 'purely a fabrication'. "Their attempt to embroil me in this matter is purely a fabrication...It's time that Raje Government stopped going after political opponents and instead order probe into her and her son Dushyant's involvement in Lalit Modi gate," he said. The Central Bureau of Investigation (CBI) took over the ambulance scam probe on Friday against former Rajasthan Chief Minister Ashok Gehlot, Sachin Pilot and other members of the Congress party, The scam dates back to 2009 when Krishna's company, Ziqitza Healthcare, a company run by Ravi Krishna, received a tender to operate 108 ambulances across Rajasthan, Bihar and Punjab. An audit was conducted after the BJP's allegations that Krishna's company was being paid money for ambulances which were on record only on paper, after which huge financial irregularities in the way the ambulances were operated, with losses amounting to Rs. 14 crore.